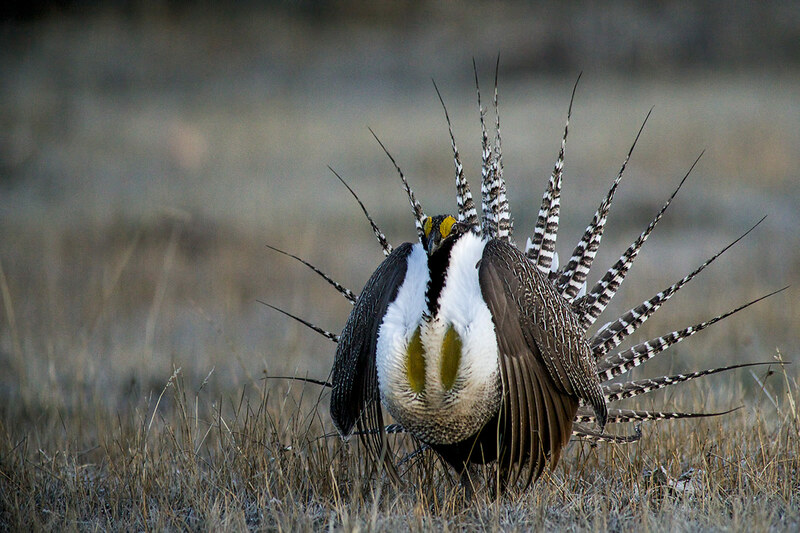 A male Gunnison Sage-grouse displays for a female on a lek during spring mating season. Gunnison Sage-grouse are far more endangered than Greater Sage-grouse and are primarily distinguished by their smaller size, broad white bands on tail feathers, thick "ponytail" filo plumes, and vocalizations. About 4,000 remain, most in Gunnison Basin. Regretfully, politics have played a major role in gaining protection for these magnificent birds. Photo © copyright by Dave Showalter.